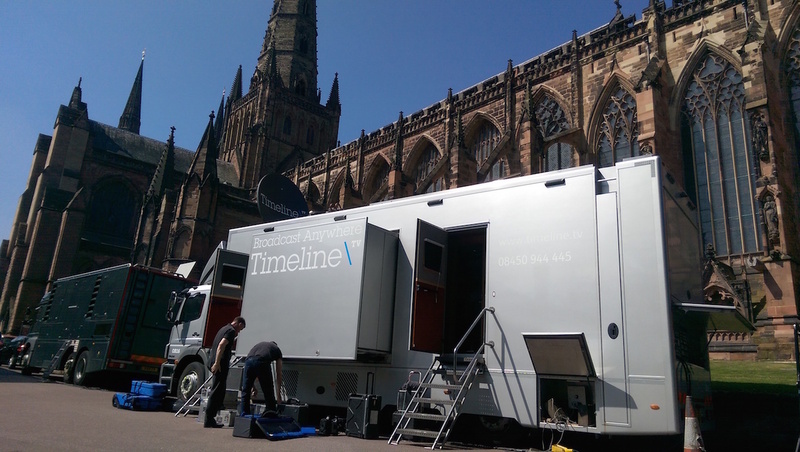 OB16 - Timeline Television Ltd.
Timeline’s live 4K UHD/HD outside broadcast truck, OB16, is a medium size, single expanding unit that can cater for 12 cabled cameras along with multiple radio cameras. The unique feature of this OB truck is the built in 1.8 metre satellite dish and fully redundant uplink chain. This enables the truck to provide both comprehensive production facilities and uplink services reducing costs. The production area is fitted with a Snell 9600 Kahuna vision mixer with a large Maverik control surface. This comprehensive system enables the truck to deliver 4K UHD programmes to the same high standard of usability.